It is conveniently located along Interstates 76 (PA turnpike), 376, 79 or 80. For scenic roadways, try state routes 422, 65, 18, 168, or 208. Find us 19 miles east of Youngstown, OH: 54 miles northwest of Pittsburgh: 90 miles south of Erie and 100 miles southeast of Cleveland. Includes Cities/Towns: Bessemer, Edinburg, Ellwood City, Enon Valley, Hillsville, New Bedford, New Castle, New Wilmington, Pulaski, Slippery Rock, Villa Maria, Volant, Wampum, West Pittsburg. In Lawrence County—just along the border of western Pennsylvania—it’s all about the trails. Whether you’re looking for a scenic ATV trail to kick up some dirt, an Amish sightseeing trail to experience authentic simple living, or a craft burger trail to eat your way through the county’s best burgers piled high with toppings, you’re bound to find what you’re seeking. Follow these ready-made trails or go off on your own to create a one-of-a-kind adventure with friends and family. Lawrence County is home to the fifth largest old-order Amish community in Pennsylvania, and throughout the countryside, you’ll spot idyllic pastoral scenes, such as horse-drawn buggies rambling along the roads, historic covered bridges, and hand-painted signs for homemade jellies and fruit butters. Use the self-guided tour map for a do-it-yourself driving tour through this picturesque area. If you need a place to stay, The Jacqueline House of Wilmington is a charming bed-and-breakfast located in the heart of Amish country, offering luxurious amenities—even a spa—in a spacious farmhouse. When you’re looking to explore the great outdoors, you won’t have to look far to find a trail to suit your interest. At Mines & Meadows ATV/RV Resort in Wampum, bring all your dirt bikes and motorized toys to explore the only underground limestone ATV mine and dirt bike experience. For single-track mountain biking, hiking, and trail running, explore the new 2-mile Park Harbor Bike Trail at West Park Nature Center in New Castle. At McConnells Mill State Park in Portersville, choose your own adventure by picking any number of trails: hiking, biking, boating and even a Geology Trail. For an easy bike ride, the 12-mile Stavich Bicycle Trail that crosses from Pennsylvania into Ohio offers a paved route along the scenic Mahoning River. One thing’s for sure: you won’t leave hungry after following the burger trail. From a sweet-and-savory Pear & Blue Burger to a fresh-and-tangy Greek Burger, this meat-centric route features 11 gourmet burgers from five local eateries. Download your burger passport, get a stamp for each burger eaten, and earn a free Burger Trail T-shirt as a memoir for your foodie adventures. Whether you’re craving a unique craft beer, an expertly made wine, or a crisp, refreshing cider, Lawrence County has just the spot. Follow the Wine and Brew Trail to sample locally made beverages—many of which use locally grown ingredients—for a true taste of the county. 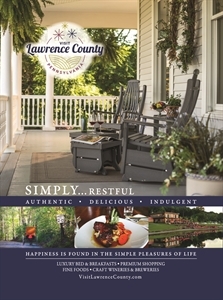 Find even more things to do in Lawrence County when you view the online visitor guide. Ongoing art shows at the Arts + Education at the Hoyt. Regional ballet performances. Westminster College hosts the Celebrity Series and Pittsburgh Symphony. A local theatre, New Castle Playhouse, performs year. A great genealogy department at the New Castle Public Library. Lawrence County Historical Society presents monthly programs. Self driving or walking tour of the town's Historic District which is ranked 3rd in the state of PA. An Old Order Amish community lives in the northern part of our county that brings many international visitors to come them and their lifestyle. A guided tour of the Amish Countryside is available. Buses travel to many surrounding townships and you also can ride to Pittsburgh and to Grove City outlets. Two local one: UPMC Jameson and Ellwood Medical Center. There is several emergency or urgent care facilities. Jan 17.7 F° 26.0 F° 34.3 F° 2.7 "
Feb 19.2 F° 28.7 F° 38.3 F° 2.3 "
Mar 26.5 F° 37.1 F° 47.6 F° 3.2 "
Apr 35.9 F° 48.1 F° 60.3 F° 3.5 "
May 45.9 F° 58.2 F° 70.4 F° 4.1 "
Jun 55.1 F° 66.9 F° 78.6 F° 4.5 "
Jul 59.2 F° 70.9 F° 82.6 F° 4.3 "
Aug 57.1 F° 69.2 F° 81.3 F° 3.7 "
Sep 50.3 F° 62.4 F° 74.5 F° 3.9 "
Oct 39.7 F° 51.2 F° 62.7 F° 2.9 "
Nov 32.0 F° 41.3 F° 50.5 F° 3.5 "
Dec 23.0 F° 30.8 F° 38.7 F° 3.0 "
Summers are warm and sunny for swimming, boating & picnicking. Fall is very beautiful with a mosaic of colors on the trees. Winter is great for ice skating, sled riding and walking in the moonlight. Spring has an abundance of flowering trees, daffodils, tulips or rhododendrons. Condos Over 50 Communities We have many housing units all over the county to suite the many needs of the people. Home care Senior center Visiting nurses We are very fortunate to have many places and services for the seniors. 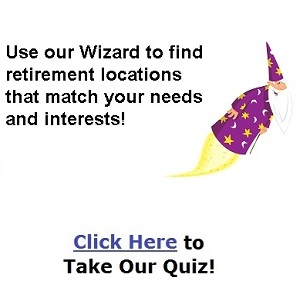 Many private owned senior recreation centers and government ones are available. Social services are just a phone call away. The Acts bus for seniors and handicap for doctor appointments, shopping, etc. Free city bus transportation for seniors. Many private or local agencies for homebound seniors. Meals on Wheels, Special Olympics, United Way, American Cancer Society, New Vision, New Castle Public Library, Women's Crisis Shelter, Big Brother/Big Sister and food pantries.